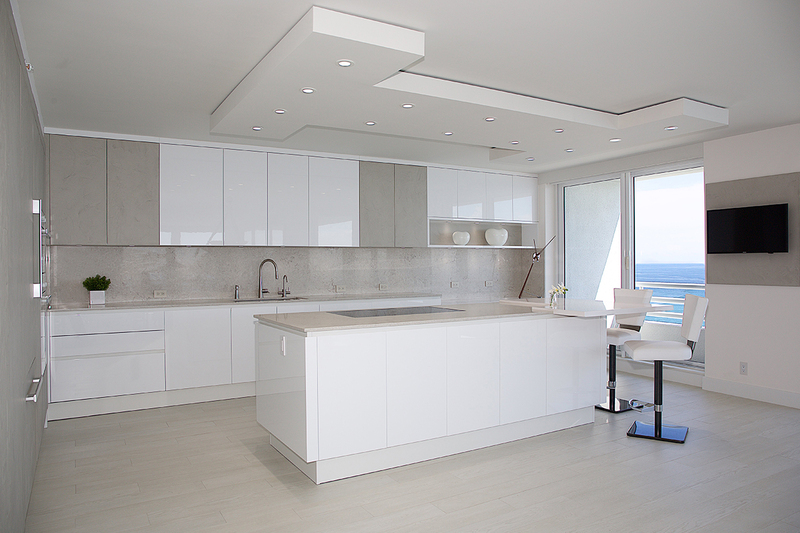 Ocean front kitchen featured in Sand Concrete and White high gloss lacquer. 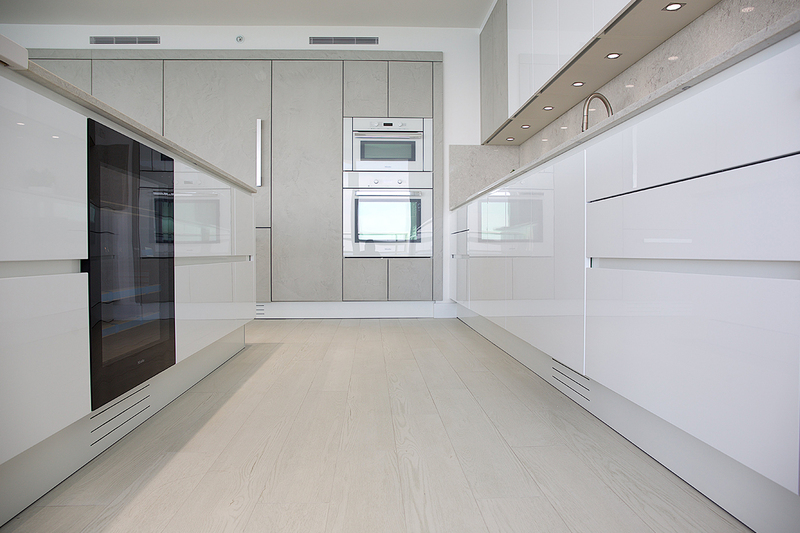 Miele ovens in white glass. 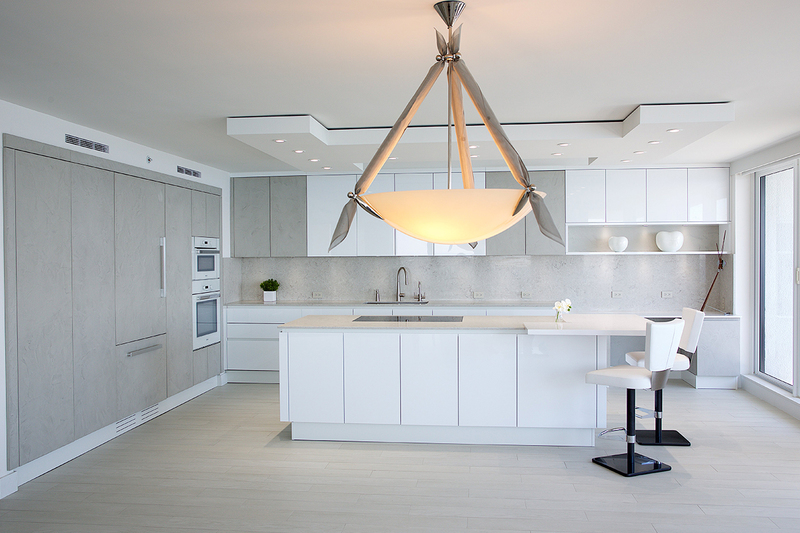 Crowning the island, the designer created a capitali-shaped soffit to give a soft lighting ambiance and balance the overall space. On the back wall, a mini desk area allows for mixed use kitchen space. The raised bar welcomes early morning coffee sunrise views. 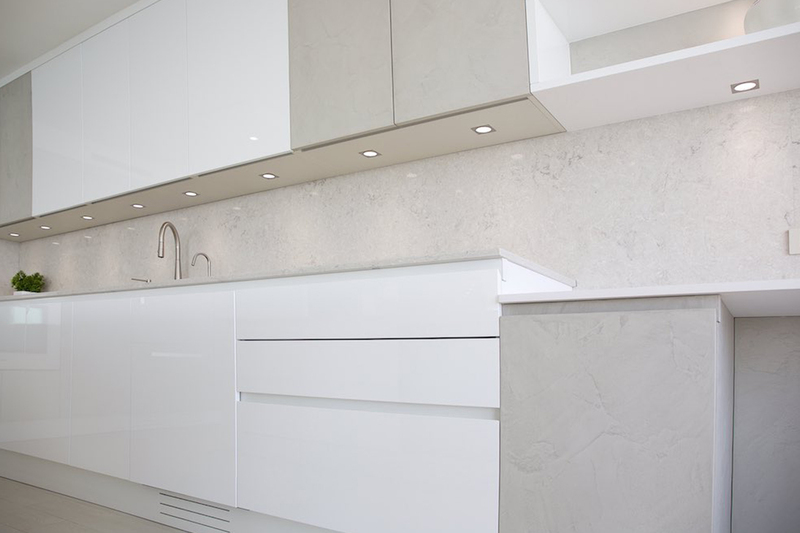 Your Personal designer is a guide who will remain at your side from the ‘first exploration’ to the exhilarating ‘kitchen warming party’. 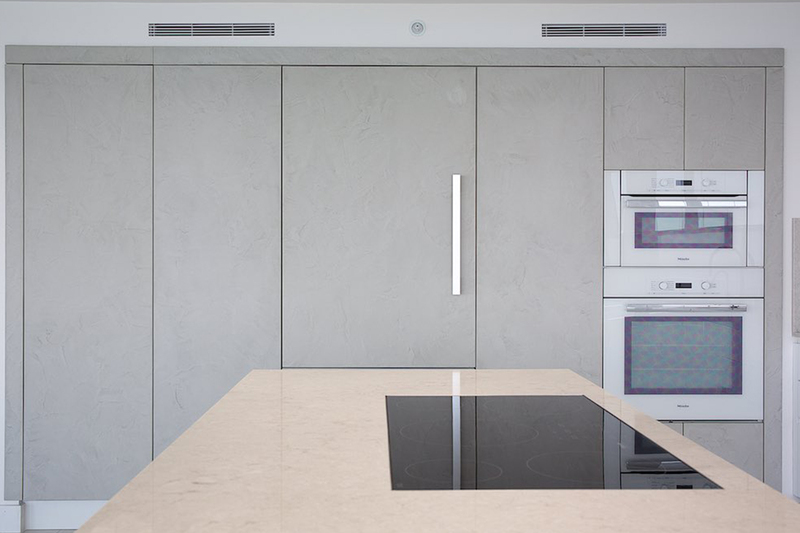 In order to grant the best options for each unique project, we focus our attention on the innovative materials and the latest in all aspects of the kitchen. After a detailed Q&A, review of plans, site visit and meeting, our designers create multiple 3-D renderings that enable the viewer to see all angles. We liken it to a funnel: All relevant information unveiled addresses specified criteria narrowing the decision process flawlessly. 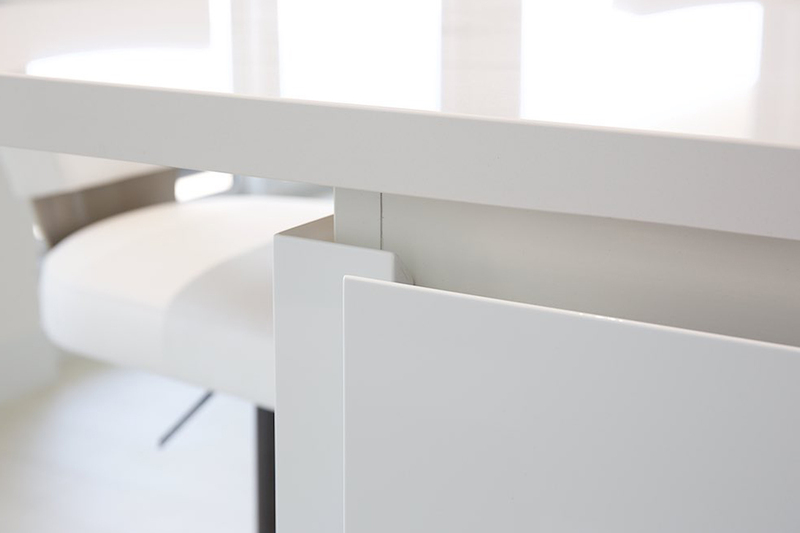 Italian craftsmen take enormous pride in every detail of each cabinet low formaldehyde design, dense structure, and finish. 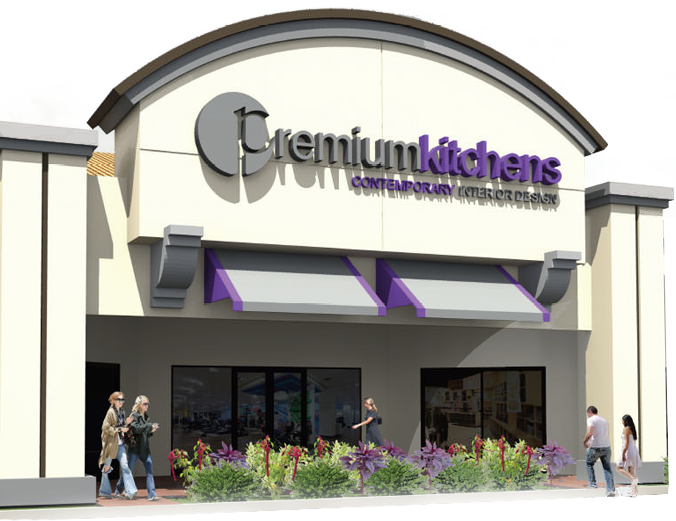 The team at Premium ensures that the zone for the kitchen is completely prepared for accuracy far in advance of the cabinet delivery. New kitchen. Old recipes. Just add people. …Mix and Enjoy.